Edmonton is the capital city of Alberta, Canada. Many people travel via Edmonton en route to the Canadian Rockies, but Edmonton is a city worth stopping at and visiting for a few days. The city is a multicultural hub, with history, fun attractions, great food scene, and a thriving creative spirit. If you are traveling to Edmonton here are some suggestions on what you can do in 48 hours. The times listed in this article are general suggestions. Please be sure to factor in weather conditions and traffic when traveling from one destination to the next. West Edmonton Mall 9 a.m. to 2 p.m.
Start your trip to Edmonton by visiting West Edmonton Mall, the largest shopping mall in North America. If you are not interested in shopping at the 800 stores in the mall, there are plenty of other things to do. Check out the Santa Maria, a life-size replica of the ship Christopher Columbus sailed. You can go ice skating at the Ice Palace, or enjoy balmy 31C (68F) temperatures at the world’s largest indoor wave pool at the World Water Park. If you are an adrenaline junkie go to Galaxyland, an indoor amusement park. Here you can take a ride on the Mindbender, the world’s largest indoor triple loop roller coaster. For lunch stop at one of the many restaurants on Bourbon Street like Moxie’s or The Old Spaghetti Factory, or try Famoso, a local casual restaurant serving Neapolitan style pizza. Fort Edmonton Park 2:30 p.m. to 5:30 p.m.
After wandering inside a mall, it will be fun to do something outside. Fort Edmonton Park is a living history museum where you can learn about this history of Edmonton. There are buildings you can check out and costume interpreters showing life in Edmonton from its Fort days in the 1840’s up to the 1920’s. Be sure to take a ride on the Baldwin 1919 Steam Train. Check out the Al Rashid Mosque, the first Mosque built in Canada. Watch a show at the Capitol Theatre, a replica of a theater that once stood on Jasper Avenue downtown. 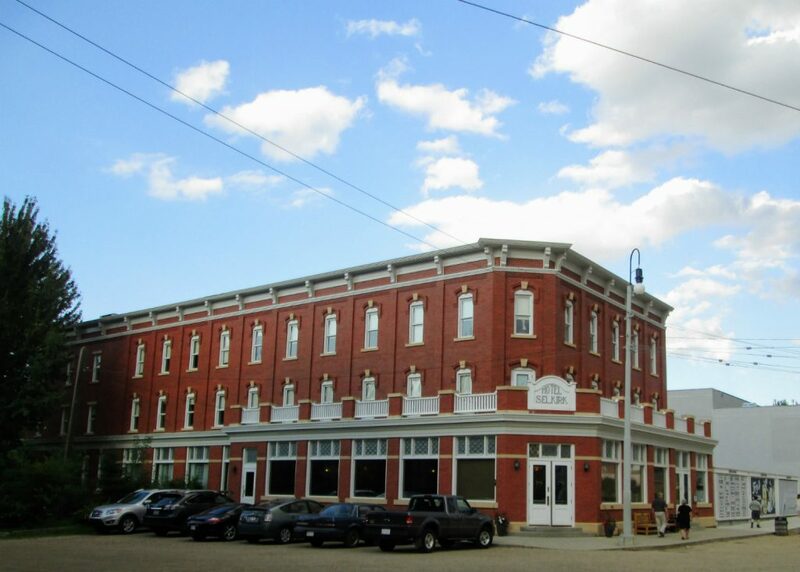 Finally, you can grab a drink at the bar in the Hotel Selkirk, which once was known as the longest bar in Canada. Finish your first day by spending some time wandering around the eclectic and historic Old Strathcona neighborhood. For dinner head to one of the many restaurants in the area like the Ampersand 27, which serves modern and locally sourced fare, Dadeo’s, a Cajun restaurant popular with locals, or El Cortez, a Mexican restaurant with a large tequila bar. There are plenty of local shops to wander in as well. After dinner, there are many options for how you can finish the night. You can head to one of the many bars and pubs Whyte Avenue has like O’Byrne’s Irish Pub or Beercade where you can enjoy a beer while playing classic arcade video games. Enjoy live music at Blues on Whyte or the Yardbird Suite, a local jazz venue. Watch an independent film at the Garneau or the Princess Theater. Finally, venues like The Varscona, The Roxie, and The Walterdale Playhouse host a variety of plays, musicals, and improv performances throughout the year. If you are in Edmonton in early to mid-August be sure to check out The Edmonton International Fringe Festival, the largest fringe theater festival in North America. Tickets for shows can be purchased at the box office in the ATB Financial Arts Barn. 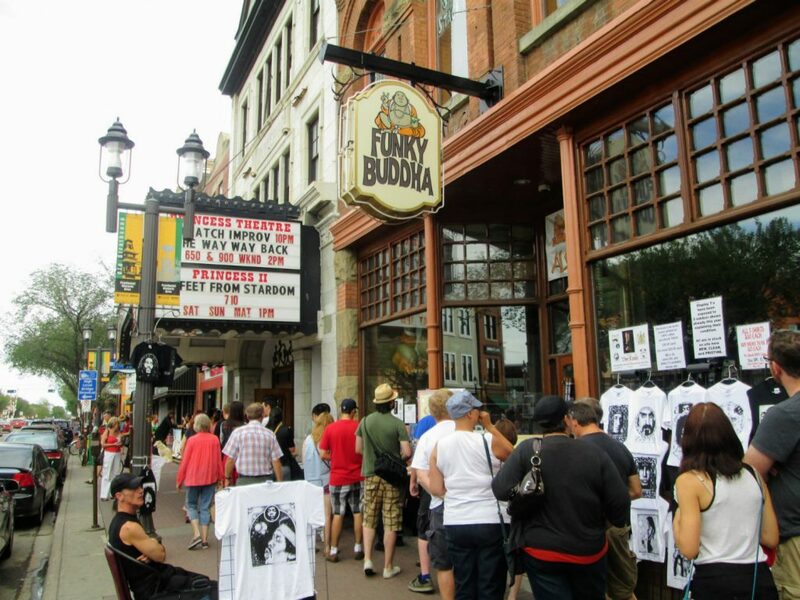 A line of people waiting to see a show at The Princess Theatre for The Edmonton International Fringe Festival. Photo by Alouise Dittrick. Edmonton River Valley and Segway Tour 9 a.m. to 11 a.m. 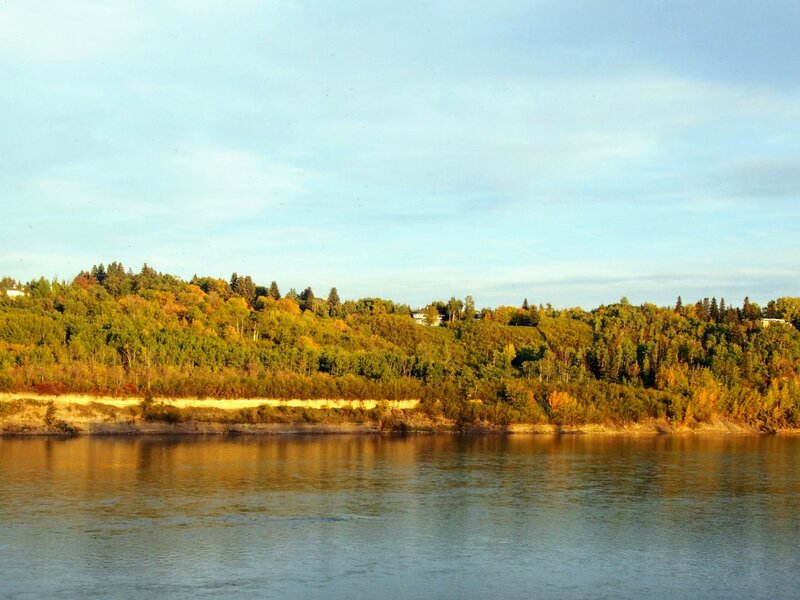 The North Saskatchewan River cuts through Edmonton and gives the city a gorgeous river valley. There are plenty of hiking and biking trails (and cross-country skiing trails in the winter) in the river valley. A unique way to see Edmonton’s river valley is by going on a Segway Tour. River Valley Segway offers tours of the Edmonton River Valley from Louise McKinney Park. If you’ve never been on a segway before they give you a beginner lesson to help you out. Segway tours run from 1 to 2 hours. Be sure to contact them in advance for a booking. The North Saskatchewan River and the Edmonton River Valley. Lunch and Art Walk on 124 Street 11:30 a.m. to 2:30 p.m.
For lunch head to the 124 Street neighborhood west of downtown. There are many excellent local restaurants in this area. A local favorite is Duchess Bakeshop, which some say is the best Parisian-style bakery in Canada. Remedy Cafe serves delicious Indian food and drinks and has several vegetarian and vegan options. Numchok Wilai is a Thai restaurant with delicious food. North 53 is a modern gastropub that has locally sourced dishes and a wide cocktail menu. To help you digest from your lunch take a walk along 124 Street and check out some of the local art galleries in the area. Some of the galleries along 124 Street include the Bearclaw Gallery featuring First Nations Art, the Larry Louie Photography Gallery inside the Louie Eyecare Centre, and the Lotus Gallery featuring work from local artists. Churchill Square & Art Gallery of Alberta 3 p.m. to 5 p.m.
Now head to downtown Edmonton. Sir Winston Churchill Square is where Edmonton City Hall is located. Depending on when you visit there may be a local festival happening here like A Taste of Edmonton that features food from restaurants across the city, or The Edmonton International Street Performers Festival. 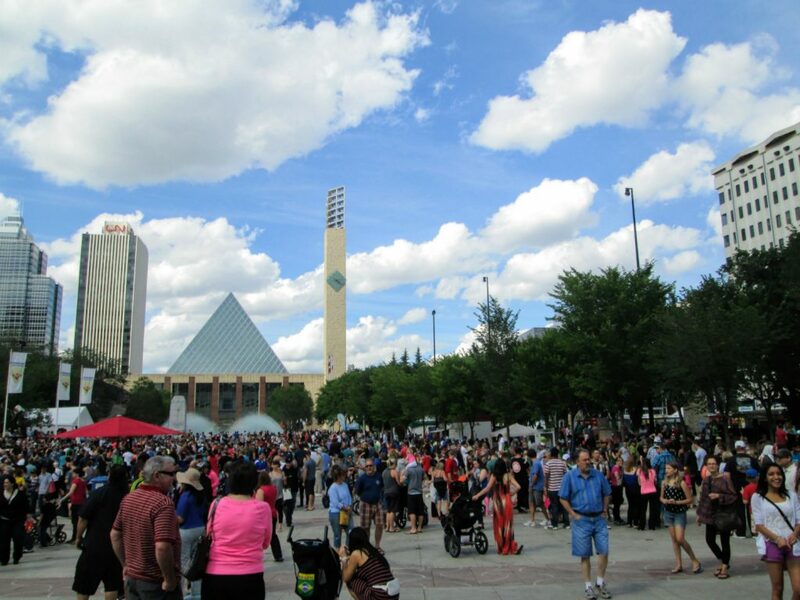 Check Explore Edmonton Event Calendar to see if there will be any festivals during your visit. Crowds of people at Sir Winston Churchill Square for The Edmonton International Street Performers Festival. Beside Churchill Square is the Art Gallery of Alberta. This unique-looking building opened downtown in 2010. It has over 6,000 pieces of work ranging from Albertan artists to international artists and is well worth a visit. wish to venture far, Zinc Restaurant inside the Art Gallery of Alberta has been named one of the best restaurants in the city. On Jasper Avenue, you’ll find Corso 32, a popular high-end Italian restaurant with locally sourced fare. Rostizada 104 Street offers large sharing plates of modern Mexican fare. Bistro Praha on 101 Street has been serving delicious Czech and Eastern European dishes for over 30 years. In the summer, The Harvest Room at the Fairmont Hotel MacDonald has a patio with amazing river valley views. After dinner, there are plenty of things to in downtown Edmonton. Music lovers will want to attend a concert at The Francis Winspear Centre for Music located across from Sir Winston Churchill Square. If you didn’t see any live theater the night before head to The Citadel Theatre. They feature local productions of shows running from September to June, and on Friday and Saturday evenings you can see improv from Rapid Fire Theatre. If you love sports, you can head just north of downtown to Rogers Place to see a hockey game. They host both The Edmonton Oilers (the National Hockey League team) and the Edmonton Oil Kings (the Western Hockey League team). Forty-eight hours will give you just a brief glimpse into all the activities and things to do in Edmonton. After your first visit, you will want to come back to see even more of what Edmonton has to offer. Alouise Dittrick is a writer and travel enthusiast from Edmonton, Canada now living in Dublin, Ireland. 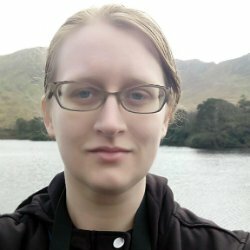 She writes about travel, the performing arts, and living abroad on her travel blog Take Me to the World.